Twenty years ago very few people had heard the term 'home staging'. Sure, everyone knew that in order to sell a house it needed to look its best, but most people figured this meant cleaning up the dirty dishes and maybe adding a few vases of fresh flowers. But these days few people would dream of listing their house for sale without staging it first - either with the help of a professional or on their own. When staging your living room, or any other room for that matter, keep the following points in mind. A lot of people consider it a pain to repaint a house right before they move, but if the rooms in your house are anything other than a light neutral, you should seriously consider painting. Even if it isn't your style and it seems boring, light neutrals such as ivory or light grey can make a space look cleaner and brighter. A lot of people like this look and when selling your house it's not about you, it's about them. You want to appeal to the largest number of people as possible, and neutrals are a safe way to do it. Also, a fresh coat of paint makes everything look cleaner, and when it comes to selling a property, cleanliness is vital! Before you list your house you need to de-clutter and minimize the amount of furniture. Put away personal family photos and mementos, remove smaller pieces of furniture, and clear off bookshelves and tables of all but a couple of accessories. Anyone who walks in the front door should be able to imagine their own items in the space and that can be hard to do when the previous owner's possessions are filling it. So as difficult as it may be, try to remove any evidence of you and your family from the home. Also, the fewer items that are in the room the larger and cleaner it will appear, which is exactly what you want. Once you've removed most of the smaller items from the room you can stage the large pieces. The most important thing to do here is create a conversation area. In most cases, this will consist of a sofa, coffee table and a chair or two. If there's a natural focal point such as a mantle you can arrange the seating around it. These types of conversation areas tend to look very welcoming and make people want to sit down and relax. And don't forget about lighting. Have a couple of table lamps or a floor lamp in the space so you can maximize the light. Don't leave anything broken that can easily be fixed. 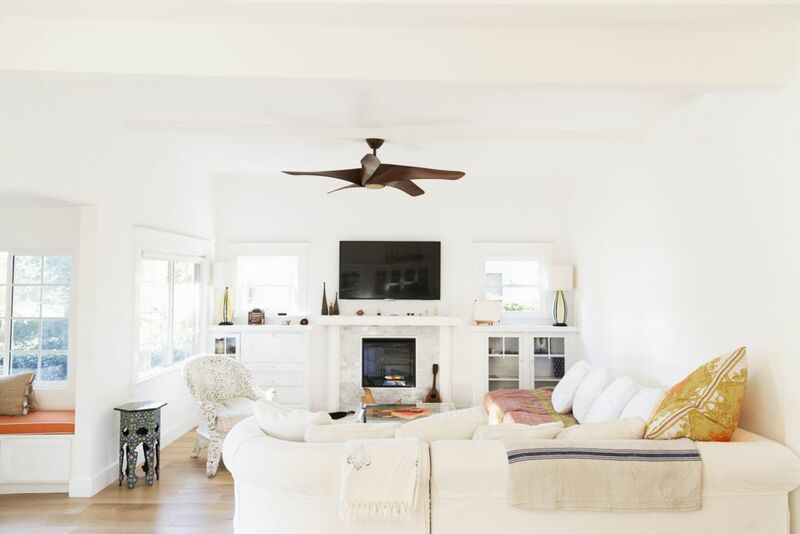 A loose doorknob, a wonky curtain rod, a squeaky floorboard – these are all things that are very easy to fix yet look very shabby to potential buyers. When something is off it signals to buyers that the house might not be in perfect condition. Everything should look like it's in tiptop shape. Small things like this will stand out to people who come looking. It may seem minor to you, but why leave it to chance?